I’d like to share a few of my favorite images from 2016. 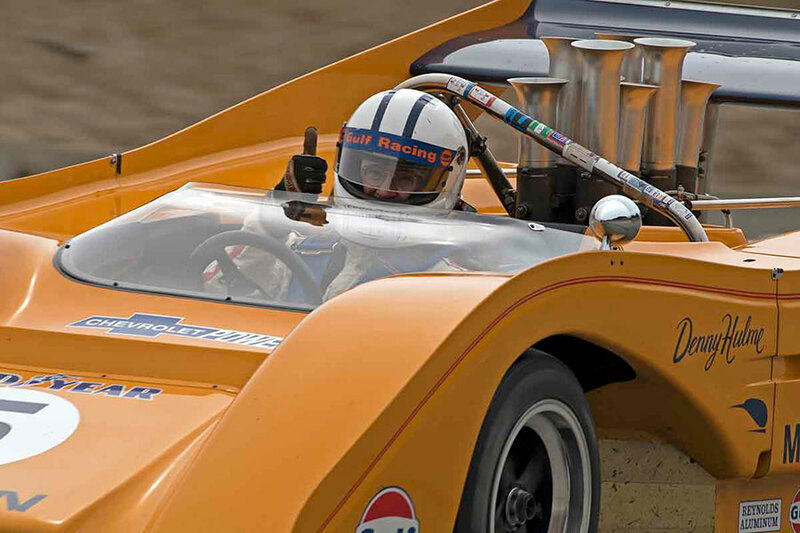 The first two were shot at Sonoma Raceway (aka Sears Point) during June’s SVRA Sonoma Historic Motorsport Festival. My friend Dennis Gray worked with SVRA’s PAM Shatraw to get permission to do car-to-car photography after practice ended on Friday. 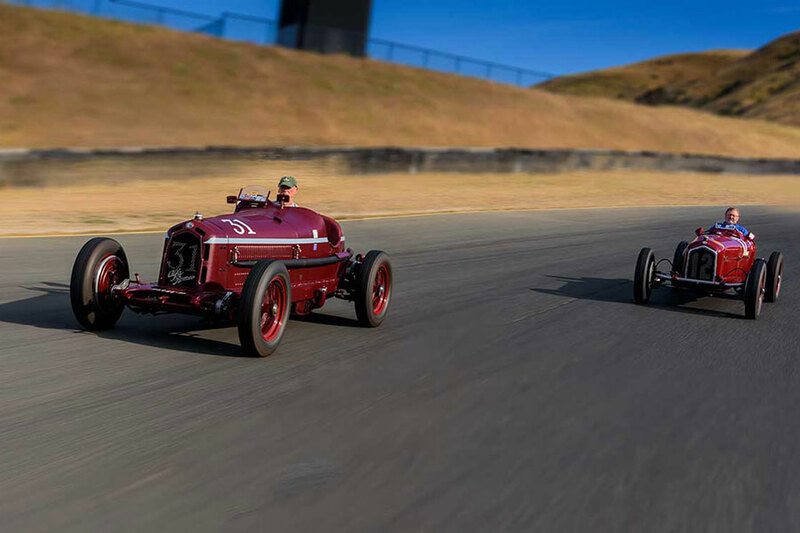 Butch Dennison of Dennis International, who drove Jon Shirley’s 1934 Alfa Romeo Tipo B and Pater Giddings piloting his 1932 Alfa Romeo Monza agreed to hang around and work with us. This was my first attempt at car-to-car photography and it was not as easy as I thought it would be. First, it was very hot, and facing backways and bouncing around while being driven around the track backwards reminded me while I disliked carnival rides! That said, Dennis and I’d semi-planned what we wanted. We were going to do 4 laps and have the cars swap position after 2. This would provide an opportunity to have a couple laps to get shots of each car in the lead. As with most plans this fell apart within seconds of leaving the pits. My stomach wasn’t up to the task and we had the cars switch position after 1 lap! Considering the circumstances, I’m really pleased with the shots. All my work is with a Nikon D750. Allan Rosenburg of Rosenberg Photography in San Francisco helped with the post-production Photoshop work. Pro Photo in Portland, Oregon did the printing on Hahnemühle Fine Art paper. For those interested in the photo details, I used the Nikon 24~300 zoom lens. The first shot where Dennison is leading Giddings was taken as they exited Turn 4 and were setting up for 5. The D750 was set at ISO 100 with a 1/60 shutter speed and the lens at f18. The zoom was set to 85mm. For the shot of Giddings leading Dennison the shutter was down to 1/50 with the lens at f14 and the zoom at 40mm. The second set of images were taken during the Rolex Monterey Motorsport Reunion at Mazda Raceway Laguna Seca in Monterey, California. During the Friday morning practice session, I was shooting at the inside of Turn 9. I noticed that Chris MacAllister turned his head further to his left to look into the corner than other drivers. I decided to try a close up of Chris on the next lap. I extended the Nikon zoom to the full 500mm. As he started to turn in to the turn he looked over at me and gave me the thumbs-up and a great smile. I got a lot more than the planned driver close-up I had planned for. Photo details – The Nikon D750 set at ISO 200 and 1/250 shutter speed. The Nikon 200~500 zoom was full extended and the aperture was set at f13. The last image was completely unplanned. 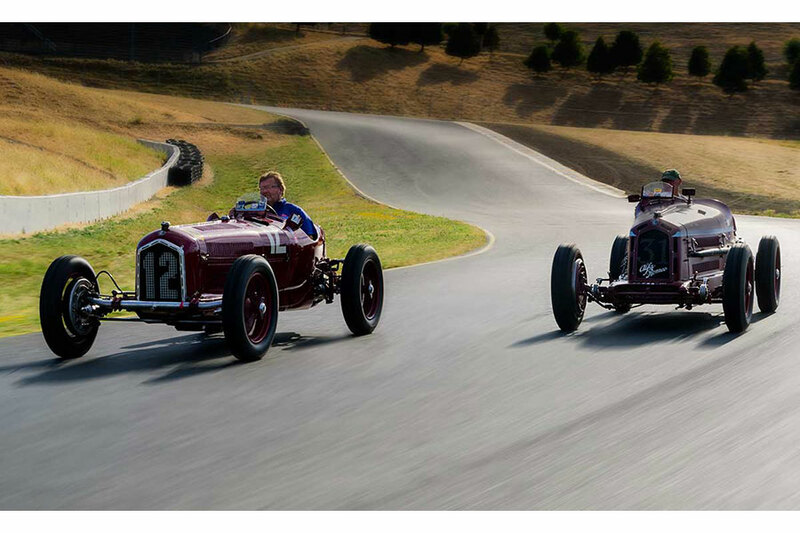 I was shooting the Historic F1 cars at the exit of Turn 5. The Historic F1 cars were the last group to run for the day and when the session ended I was starting to put my equipment away and was thinking of a cold beer. I noticed James Hagan coming around on his cool down lap and there was something flapping in the wind. I grabbed the D750 and clicked off a short burst as he went by. 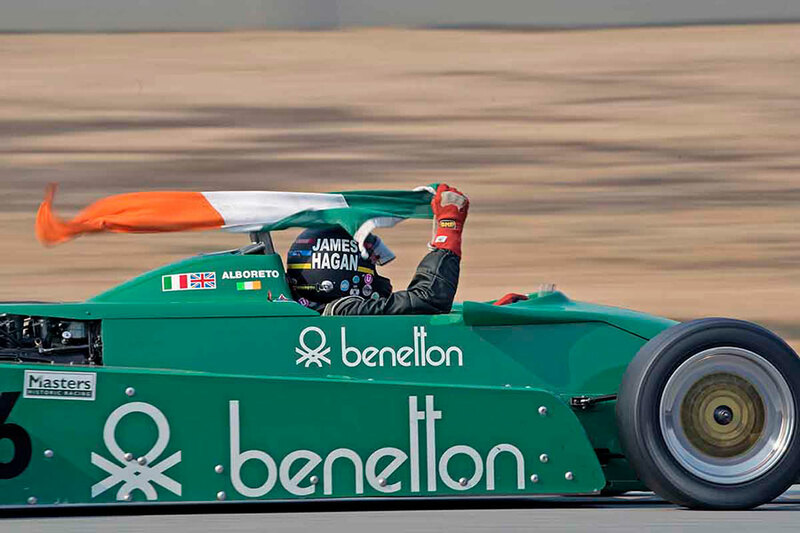 It wasn’t until I uploaded the images that I saw it was the Irish Tricolour that he keeps in the cockpit. Unplanned, but a fun image. Camera details – – shot at 1/125 shutter speed, ISO 200 and the 200~500 zoom was at 390mm and f14.